My Neighbour who works for a well known daily newspaper has the pleasure of using all kinds of fine motor cars. This is his car for the week from the Jaguar Press department. It is a V8 with the most fabulous sound track in a modern car that I have heard in a long time. We thought it would be a great idea to snap the cars together this morning. 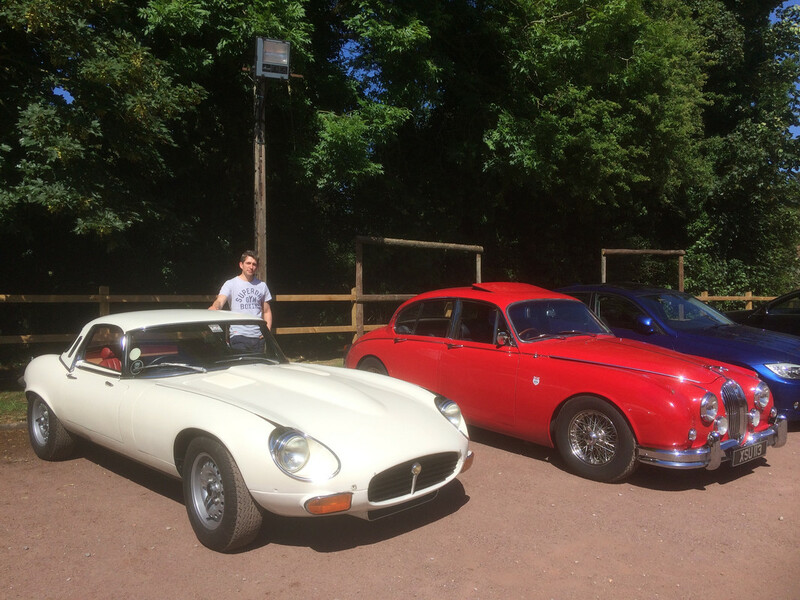 By coincidence I've just finished writing the story an hour ago of the F-type's first victory last Sunday, which somewhat echoes the E-type's first win at Oulton in 61. The event was not really in the same league as the 1961 race but it was still a victory. There was a V6 that colour and a black V8S at the slalom event this weekend in Columbia South Carolina. The V6 was about 0.75 second slower than the V8S, but that reflects the short tight course where neither car can really stretch its legs. On a full circuit the V8 would be further ahead I guess. However, even with the computer driver aids switched off (which enhances throttle response, albeit to the point of riskiness) the F-types still couldn't beat a race-prepped FHC on slicks driven by the same driver. Even with me at the wheel later I beat the F-type time, albeit I was about 2 seconds slower than the prior runs. That car is a specialized slalom car in a different class though, so the street-rubber F-type still scored its win. Agree totally about the snapping and crackling exhaust note, which is a tune Jaguar were playing on the F-types they brought to the Challenge Championship last June as well. 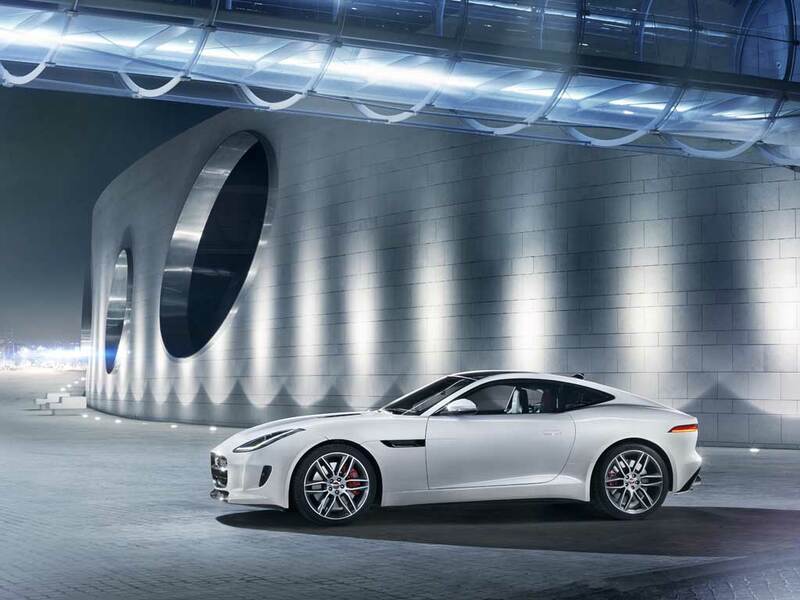 I'm sure that the new F type is a fabulous car to drive and the photo really does bring in to sharp contrast just how large and heavy a modern car has become. I now firmly believe this effects the way we drive our cars particularly on the back road twisties. I cannot really work this out except that it must be attributed to size and weight and not speed - I would be interested with others views on this. The reason I make these comments is that along fast and flowing B roads in the UK I often find myself coming up against a line of traffic say 2 or 3 cars travelling at 40 ish when one can make safe progress at for example 60. But the trailing cars rarely make a move to pass, seemingly content to have their pace dictated by the slow leading car for mile after mile. 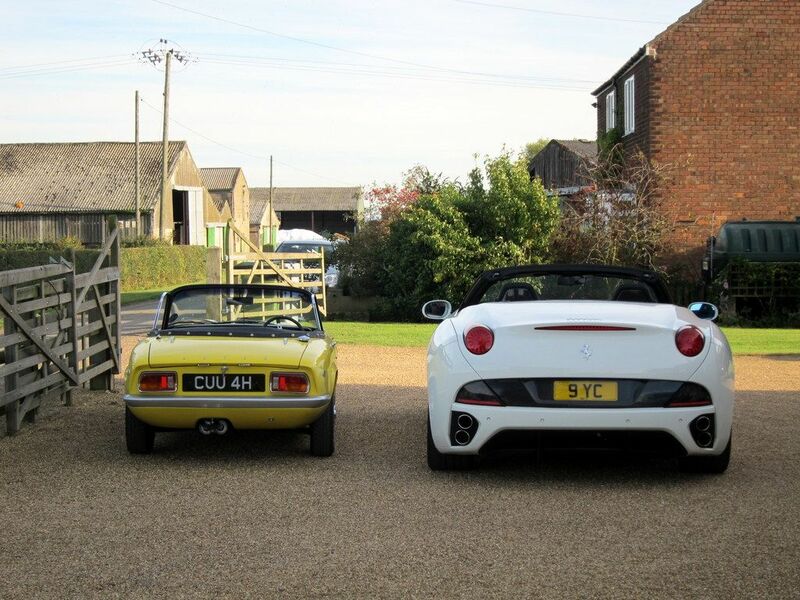 A to B across country the Elan would be quicker because you have so much more road to work with. It also seems to un-nerve other drivers and they give us lots of space. Given the M3 analogy the later car is just 30mm wider - as they say what's in an inch? Like the look of those barn's in the back ground - once sealed, damp proofed and good lighting would make for a lovely playroom! Never consciously felt vulnerable driving it as it go's, stops and corners much better than a modern car - it only weighs 14.5 cwt. Its size means if a truck or errant car is over the white line you have room to manoeuvre. Besides at 60mph you feel you are doing 90! My Series 1 made it into the article in todays Sunday Sun Motoring with Jake Humphrey. 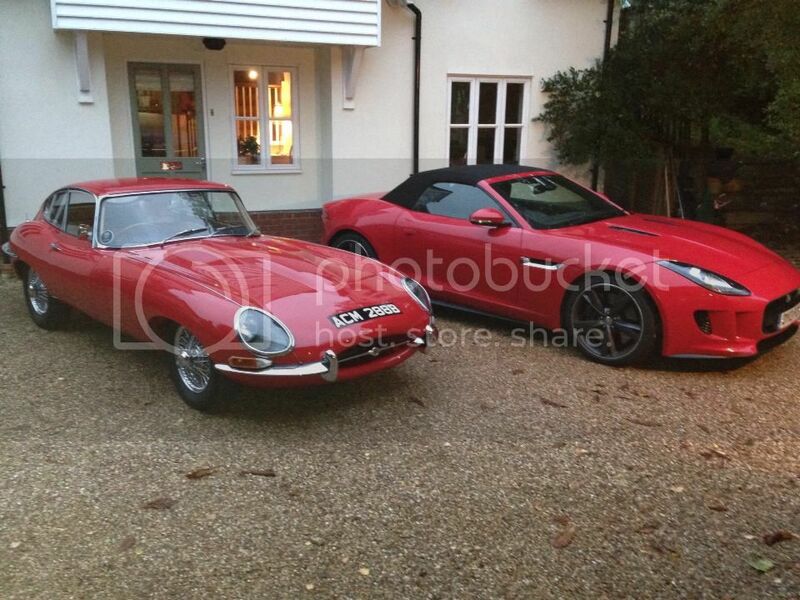 Hi I have had a S3 E type 2+2 for many years and just bought a new V6 F type in red like the one above. It's an amazing car, totally different driving experience from the E and the exhaust is wonderful, especially when I switch on the active exhaust and put it in race mode. 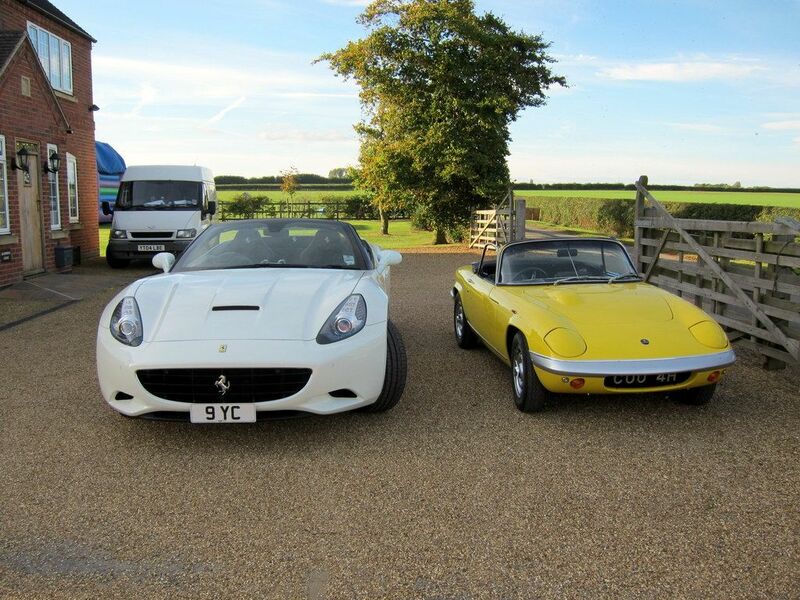 Looking forward to getting it on the track like I did with the E type recently. No comparison with handling but the E is such fun to drive fast on a dry track, but very hairy in the wet! I think its a genuine successor to the E type in every way, looks, performance and sound. Agree totally. Are you related to David Alty of the Wirral in any way? PeterCrespin wrote: Agree totally. Are you related to David Alty of the Wirral in any way? No, Alty is where I live ! ... which reminds me of a plate with embossed "Acaster Malbis" I found in our shed. 'Balanced' visually perhaps but not that great aerodynamically. The pretty front end tends to lift at very high speeds in a way that would not be acceptable today. Curing that tendency leaves you with a less pretty but more functional front end. And remember that to get effective cooling on cars fitted with air conditioning (as fitted to the F- type) Jaguar had to abandon the S1 oval and go for something larger on the S2 supplemented by a big scoop underneath in the S3. I would guess the intake area on an F is only about 50% bigger than an S3 for double the power and far less lift? Spent many a happy hour in the Ship Inn at Acaster Malbis. In fact my S3 OTS was there only a month or so back, taking advantage of the great weather we had. Oops! I didn't realise how old this thread was, not that it matters too much! Nice to see a non-standard S3. Agree. I've never liked the look of the S3 as much as the earlier series but that looks fantastic.